I loved photographing this couple's intimate wedding ceremony. The wedding party consisted of their five children. 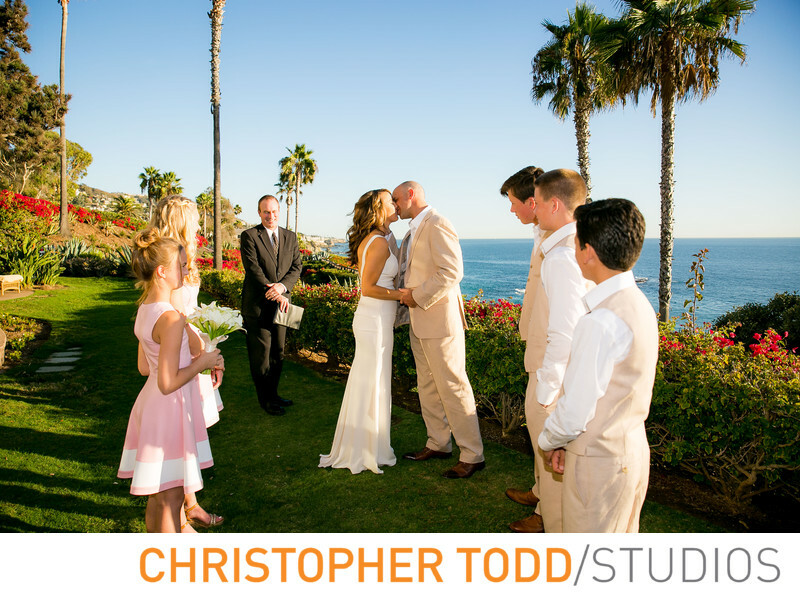 They exchanged vows overlooking the Pacific Ocean at the Montage Laguna Beach. After the ceremony we took great family portraits and then more photos of just the bride and groom. 1/1250; f/4.0; ISO 200; 24.0 mm.